Crafted with a waterproof outer and a warm quilted inner, the Barbour International Bearing Jacket offers all-round winter protection. 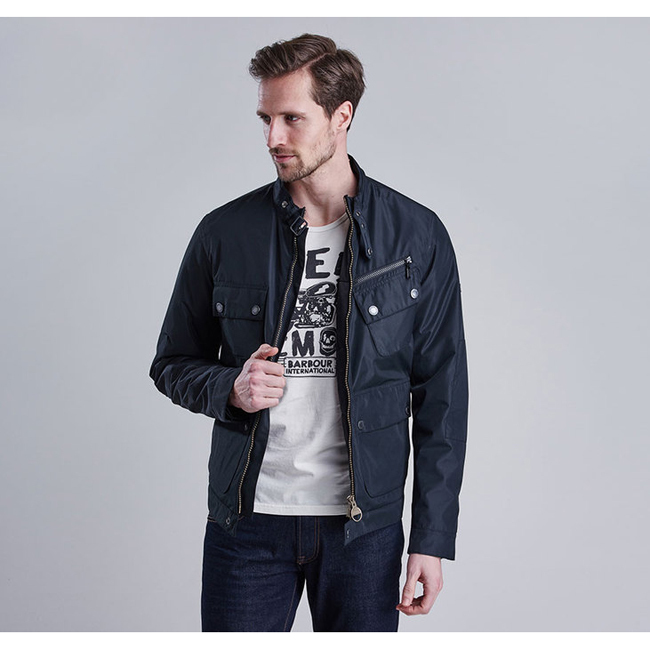 Its sleek styling is inspired by the Café Racer biker jackets of the 1960s. Back length: 66–70cm | 26–27.5"